Availability: This title is no longer available. 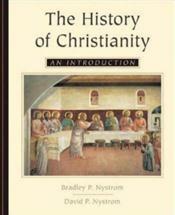 From earliest foundations and precepts to challenges of the new millennium, The History of Christianity provides a comprehensive and balanced treatment of the birth, expansion, and continuing influence of Christianity. Exploration of the growth of Christianity in Asia, Africa, and the Americas conveys its global scale. Fascinating biographical details go beyond names and dates to reveal flesh-and-blood realities of key figures.